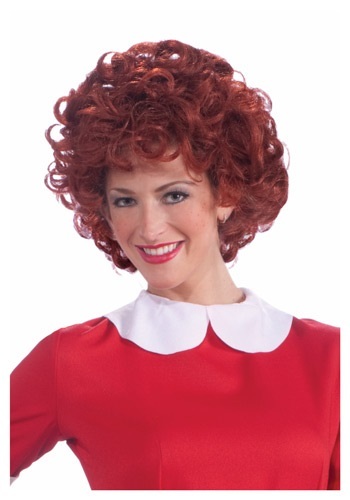 You can have the same "good hair luck" as Annie by adding this cute Annie Wig to your costume of the optimistic red headed orphan from the classic musical! This wig is made up of curly synthetic locks, styled to look short and vibrant; and it's officially licensed, so you can be sure it's the same hairdo as Annie's. Tomorrow may only be a day away, but this wig can give you fabulous hair whenever you want it!